"Precise imaging, great comfort, fantastic detail retrieval." 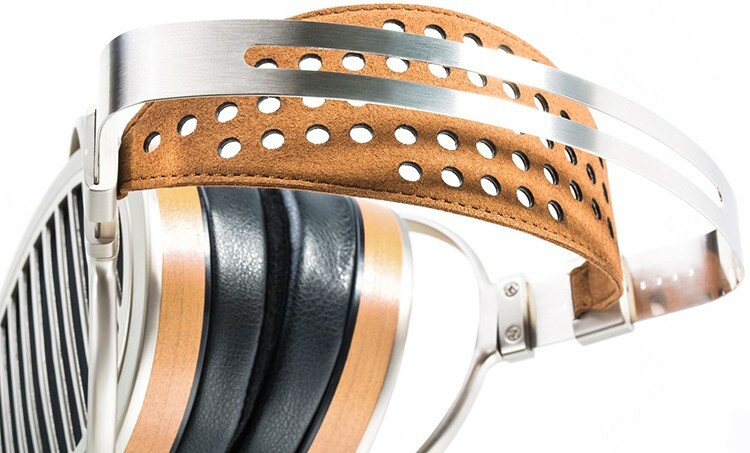 Not content to rest on their laurels, HiFiMan now present the HE-1000 V2 Planar Headphones, their most luxurious headphone yet. 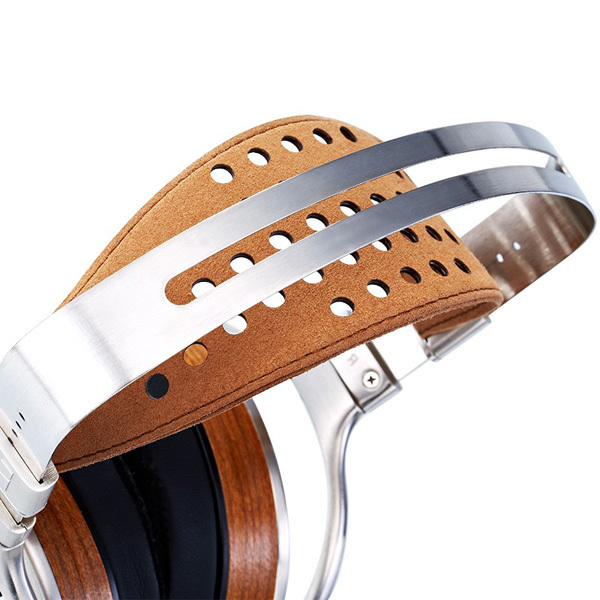 With the original HE-1000 headphones as a starting point, Dr. Fang Bian and his team at HiFiMan have redesigned and updated their award-winning flagship to produce something even greater in the HE-1000 v2. 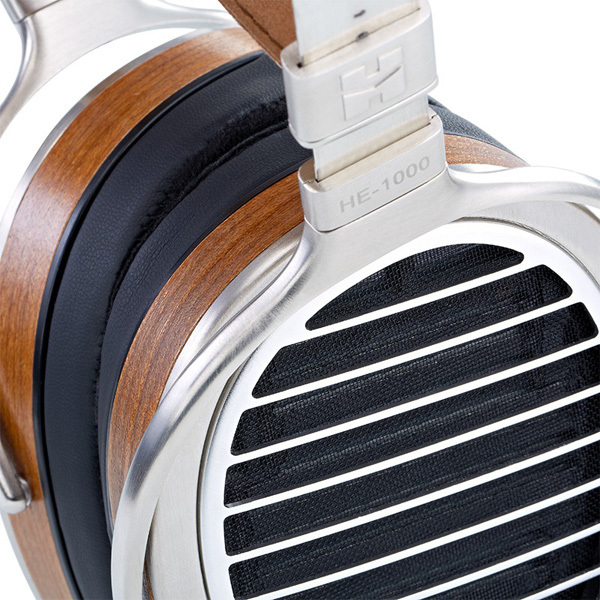 The HE1000 V2 remains a cutting-edge, full-size headphone intended for reference use in the home or studio. At much less than 0.001 mm, its Nanotech planar magnetic driver is so thin it is not visible from the side with the naked eye. New features include an improved headband design that is lighter and stiffer yet will accommodate a wider range of head sizes. The ear cups are also slimmer further reducing weight and increasing comfort. 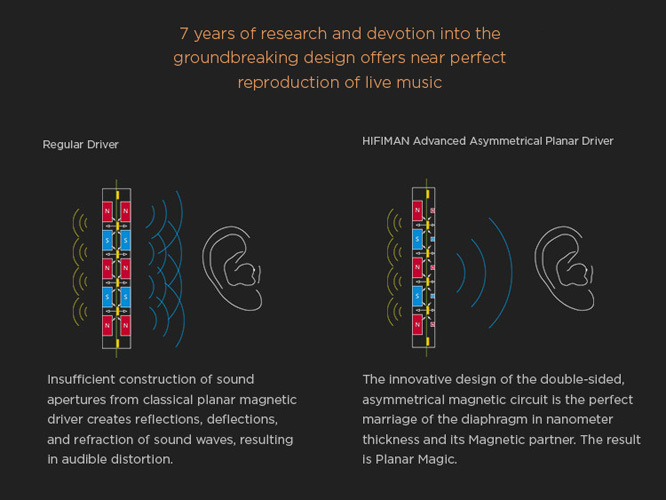 HiFiMan needed to create a special design solution that provides driver protection, is optimized for open-back design and that also yields the best possible sound quality. For HE1000 V2 "Window Shade" grill made with premium alloys is the solution, precisely structured to gain greater openness in the headphone design. Its openness keeps the sound waves from second refraction to avoid unwanted vibration and distortion. The result is a wider soundstage, outstanding imaging and remarkable clarity. 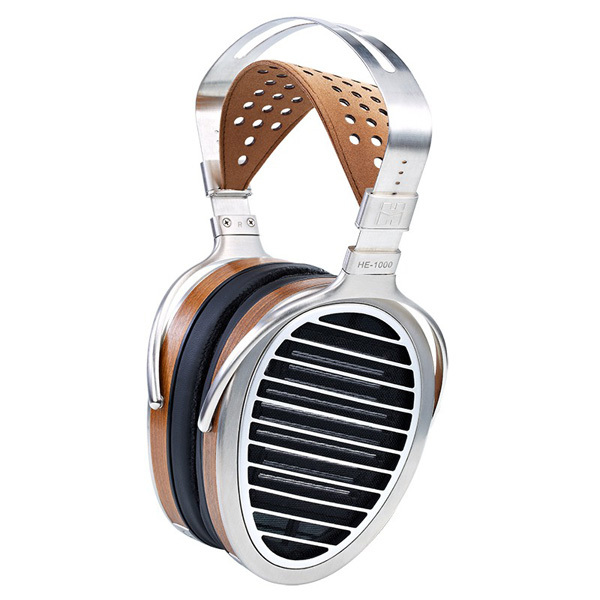 Aesthetically, as an added benefit, the Window Shade Grill also provides a unique, high-tech look to the headphones and an appropriate design complement to HE1000s premium alloys and wood trim. 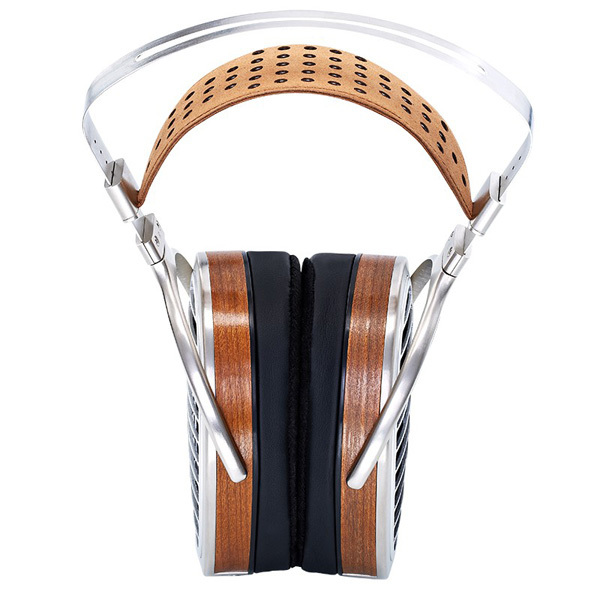 The ear cups have been specially designed in an asymmetrical shape that follows the form of human ears. The HE-1000 V2 ear cups are now slimmer to reduce weight and increase comfort. The ear pads are beveled so that they contour to the shape of the user's head for superb comfort and extended listening as well as a good acoustic seal. The hybrid design of the V2 now utilizes polyester for increased resolution. The headband on HE1000 V2 combines a special metal alloy with fine calf's skin to form a sturdy arch structure. The perforation on the calf's skin helps to dissipate the heat. For additional comfort, the light mass also contributes to lessen the overall weight of the headphone. HiFiMan only uses the finest cables for their headphones and each model features a newly upgraded cable specially designed for it. HE1000 V2 is now supplied with a three core, crystalline copper with silver plated wire custom designed for wide frequency range, low signal loss and enhanced emphasis on the low end for quality audio reproduction. The HE1000 package includes three different types of plugs: mini 6.35mm, 1/4" 3.5mm and 4-pin XLR connector so it can be used with a wide array of equipment. The plugs are easy to switch and quickly connected to different cables and amplifiers. With its unique design, exceptional function and exquisite craftsmanship, the HE1000 is quality checked by hand ensuring the item you receive is of total luxury standards. Please note this item is ordered on demand and may take 1 - 2 weeks to arrive.